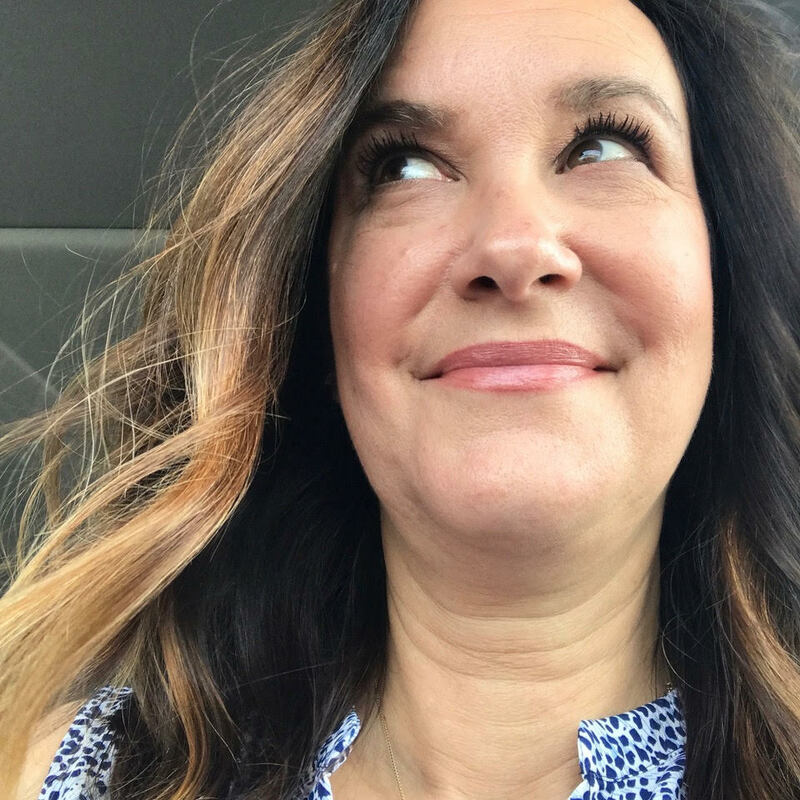 To celebrate the last year I'll ever have in my 40's, insert a very long sigh, I decided to share a bit of who I am, how I feel, what I think and what makes me, me, with my future generations. I doubt that my children will find this very interesting right now, but in years to come, I'm hoping that it will help them to understand who their Mommy was during her 49th year of life. I would love to know how my Mom felt at 49. And most certainly my Oma since she lived all the way in Germany. 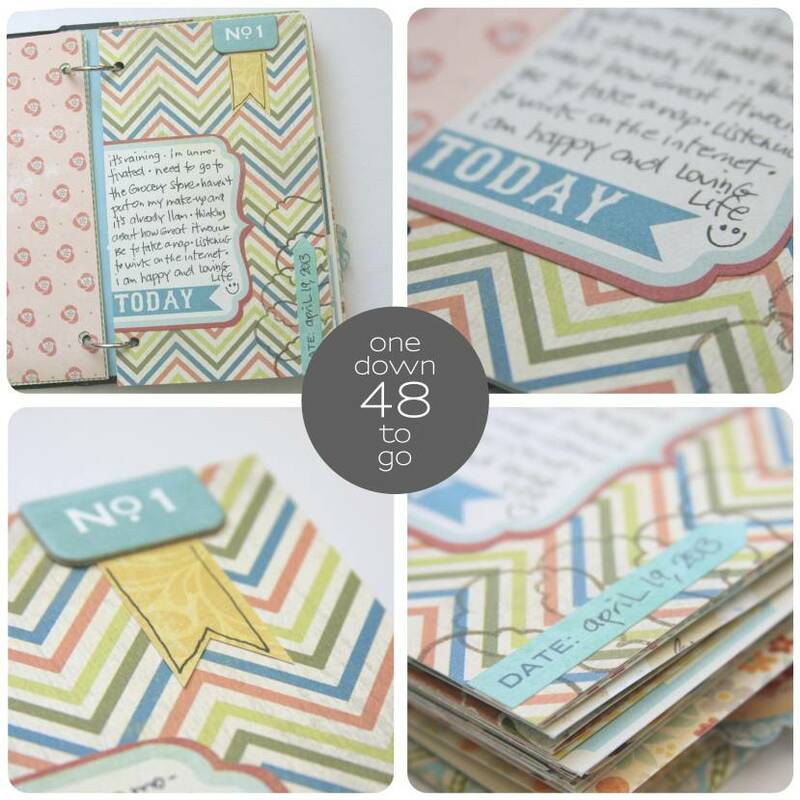 Hi all, today I'm sharing the April edition of Mini Albums with Monika. 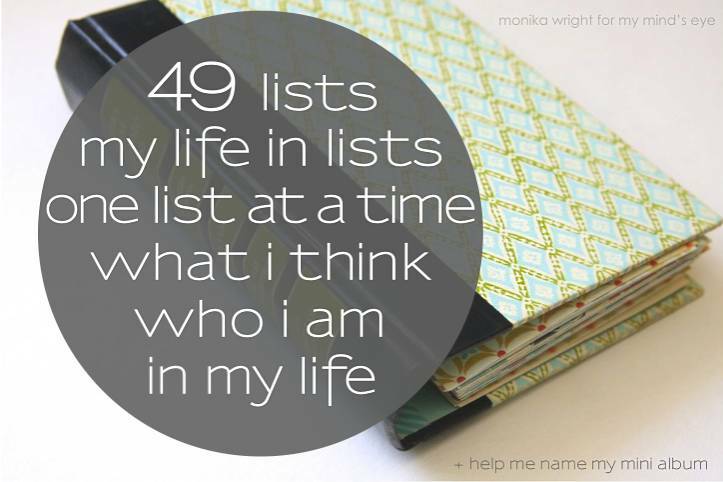 My theme of 49 lists this month works out just perfectly for me. There are 52 weeks in a year which means I'll be reminded to create a list at least once a week. I'm not quite sure what to title my mini album though and once I decide, I'll proceed with decorating my cover. Any ideas? I've already journaled 5 list topics since my birthday in late March. Want to take a peek? This type page is a lovely way to hide a more private note. 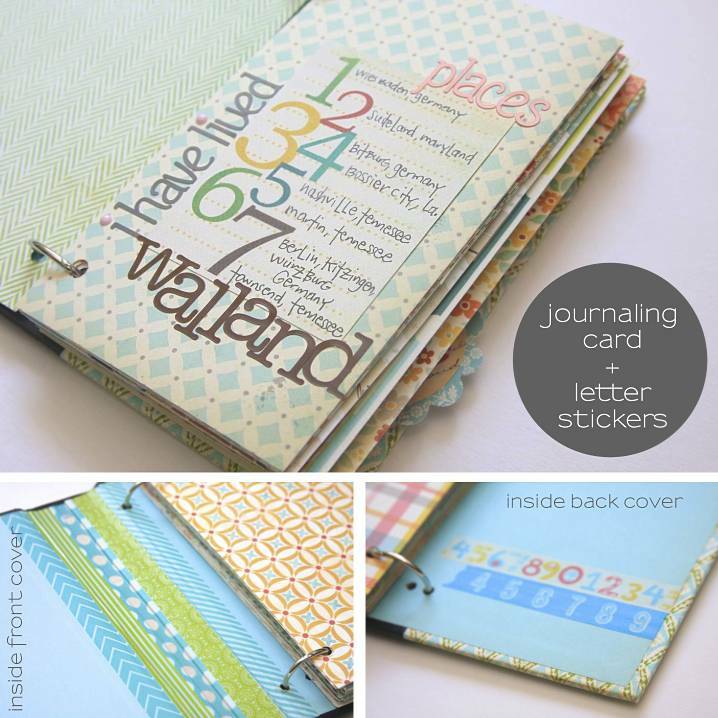 My journaling card already had the numbers and all I had to do was add the places I've called home in my 49 years. It's hard for me to believe that I've lived 15 years in one place...longest streak ever for me. After removing the book pages, use a variety of Decorative Tapes to cover the spine area and add a few more strips to the back cover as well. See how I've utilized my tapes to signify the number 49 below? And I just had to include a page from the original book I recycled. Using the library card from MME, I created a pocket and added a Decorative Brad. One list at a time from now until my next birthday, which will be the big Five-Oh! 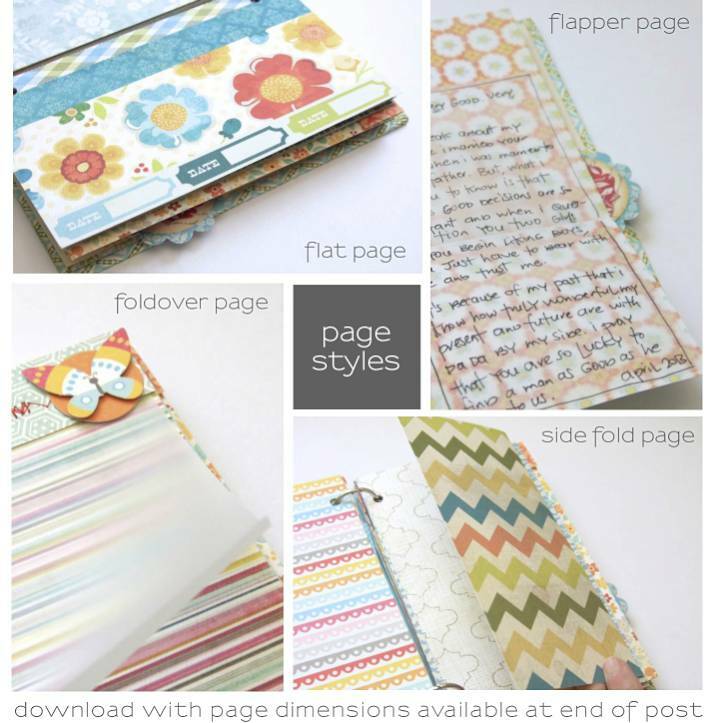 Rather than just trimming your paper to the exact size, add a variety of page styles to your mini album project. 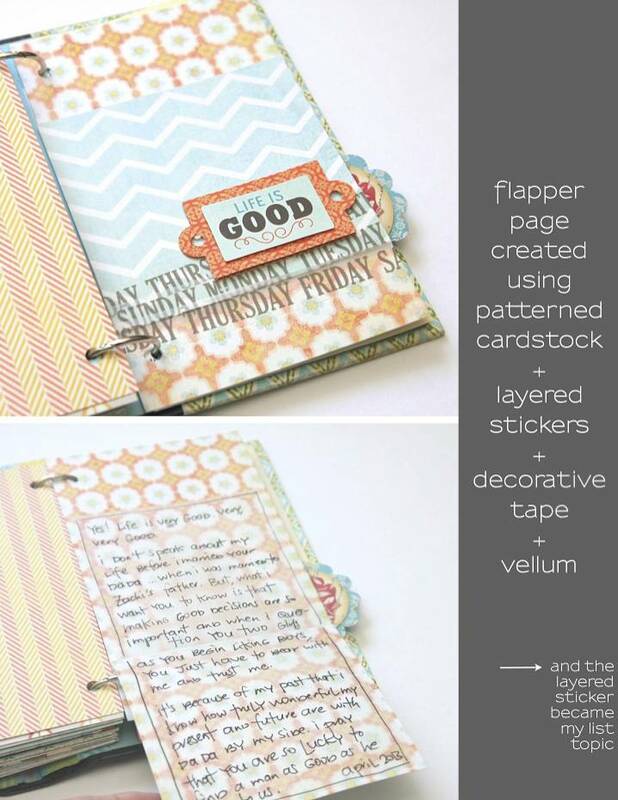 Knowing that I would be more apt to list each week if my album pages were already trimmed and semi-embellished, I created nearly all my pages at one time. 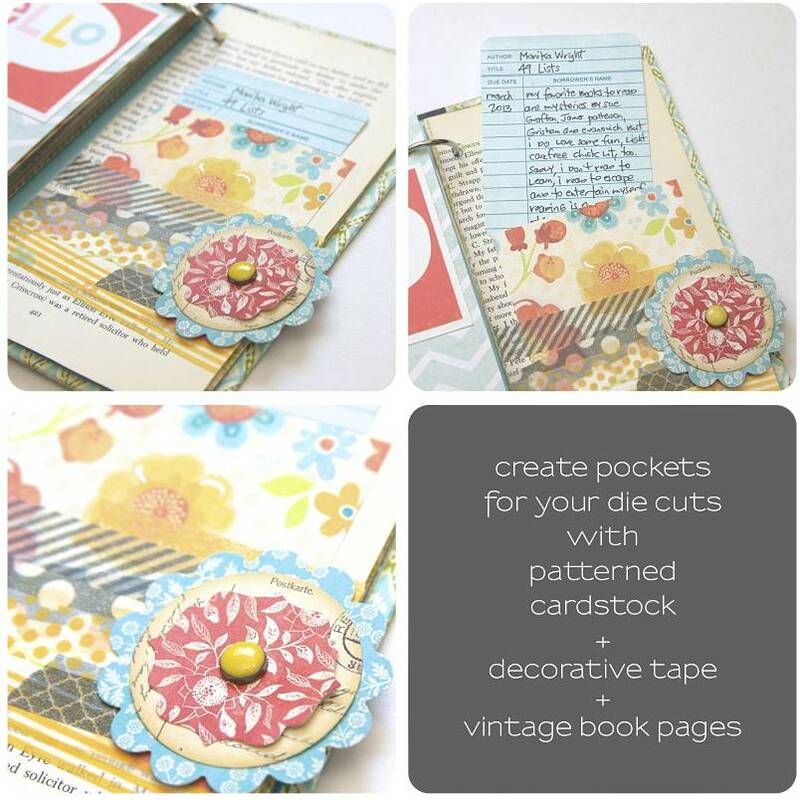 I purposely left room in my album to add additional pages using the new collections as they are released. 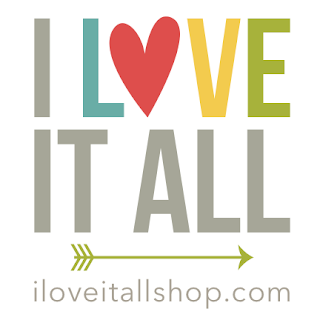 I created a List Love Pinterest board a while back and added possible listing ideas as I found them. 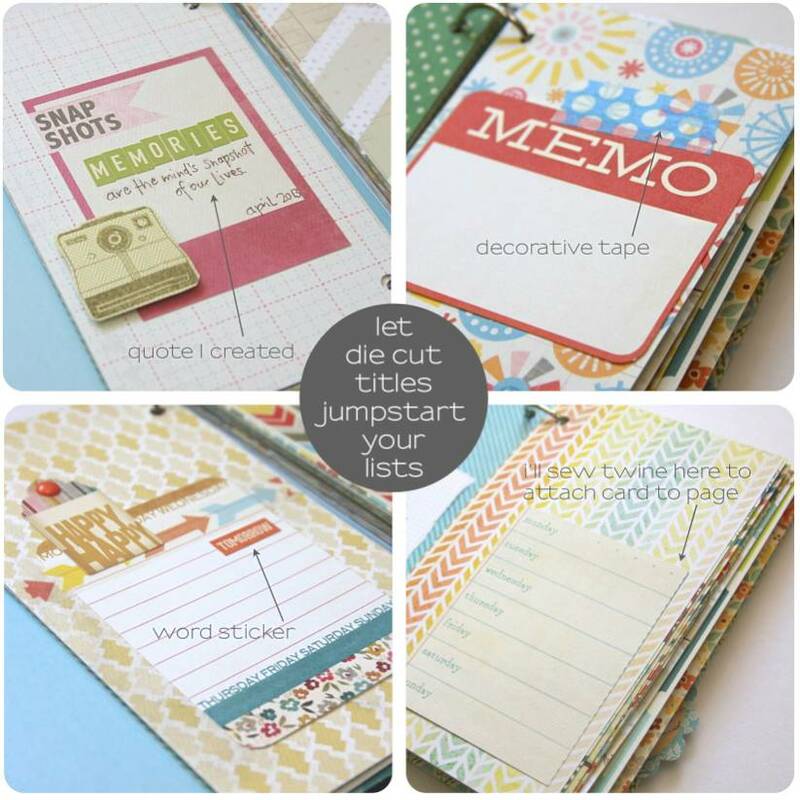 As I was trimming and creating my pages, I was so happy to find that many of the die cut titles and journaling spots were perfect jumping off points for my listing all on their own. Here's one to show you how I've semi-embellished a page, inserted a note about a possible list topic and it's all ready for me to journal my thoughts. 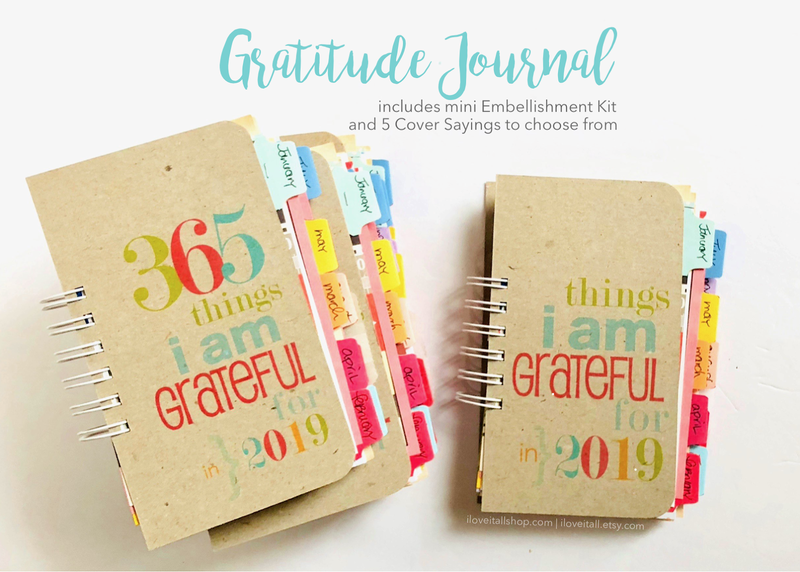 By repurposing an old book cover and removing the pages inside, I've created a "new" book with colorful pages and embellishments using a variety of collections from My Mind's Eye. Download your tutorial with tips and suggestions here. Have fun making your book of lists, Arianna! Thanks for sharing! 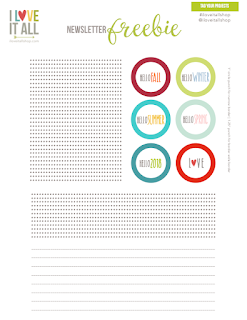 I was looking for something like this, and here you are.I love lists. 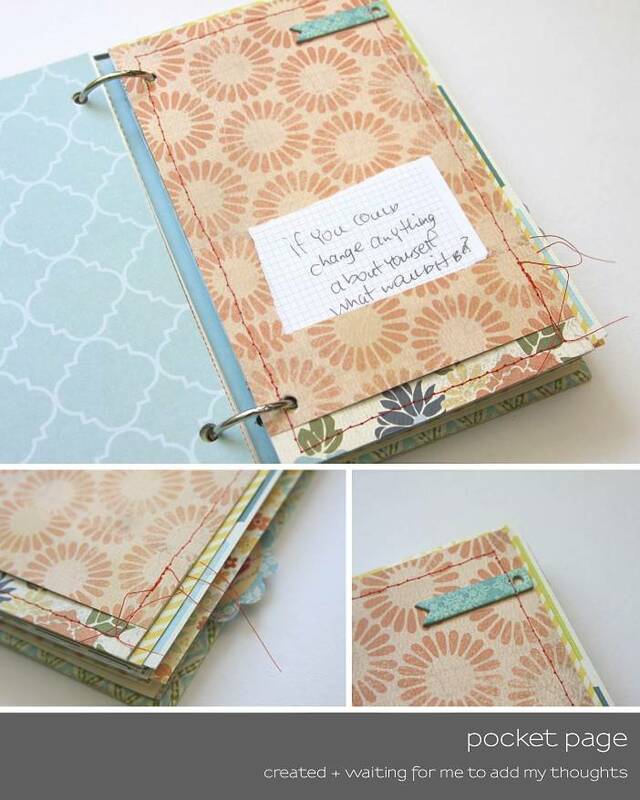 This is de best idea I´ve ever seen : all my lists in one book. I love these type of lists, too! Now, To Do lists are another story, I never seem to get everything accomplished! I'll be updating my lists until birthday number 50! I love how you used an actual book cover. Gorgeous! Thanks Angi! I think I'm going to do another one leaving some of the pages in and adding embellishments to make it super chunky. This is an adorable album!! oh my dear monika...i adore this book!!! does the tutorial show how you bind the book? love these kinds of projects so much. Dear Monika, What are the lists you used?